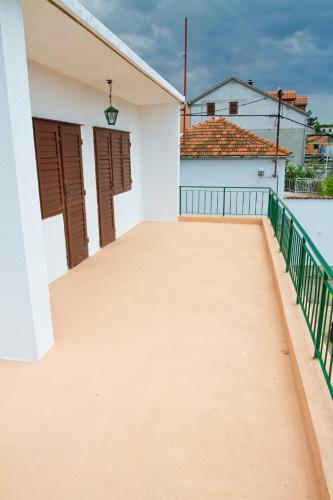 Apartment Petra is a self-catering accommodation situated in Tisno. The apartment presents a TV, an outdoors terrace and a seating area. There is a full kitchen with a fridge and kitchenware. Private toilet is fitted with a shower. 8 kilometers away. 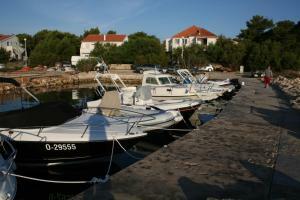 Apartment Petra ~0.1 km, Tisno price per day from € 60 Apartment Petra is a self-catering accommodation situated in Tisno. The apartment presents a TV, an outdoors terrace and a seating area. There is a full kitchen with a fridge and kitchenware. Private toilet is fitted with a shower. 8 kilometers away. Murter ( ~ 3.1 km ): 54+ apartments. Beach Jazine, Tisno ~ 0,3 km from Apartment Petra Gravel beach: ideal for families, recommended for young people, with restaurant, with caffe bar, equipped with showers. Excellent choice of watersports. Beach Sv. Andrija, Tisno ~ 0,9 km from Apartment Petra Rocky beach. Nudism is allowed. Beach Lovisca, Jezera ~ 1,1 km from Apartment Petra Gravel beach: ideal for families, recommended for young people, with restaurant, with caffe bar, equipped with showers. Excellent choice of watersports. Beach Lucica, Jezera ~ 1,9 km from Apartment Petra Gravel beach: ideal for families, with restaurant, with caffe bar, equipped with showers. Excellent choice of watersports. Beach Plitka Vala, Betina ~ 2,2 km from Apartment Petra Sandy beach: ideal for families, with restaurant, with caffe bar, equipped with showers. Excellent choice of watersports.